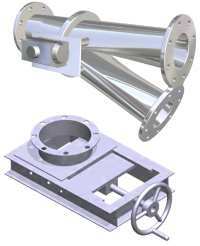 Rotary airlocks or valves are used to control the flow of bulk solids from silos, hopper or cyclones. Rotary valves provide continuous, reliable bulk solid flow like wheat, grain, cement, pellets. 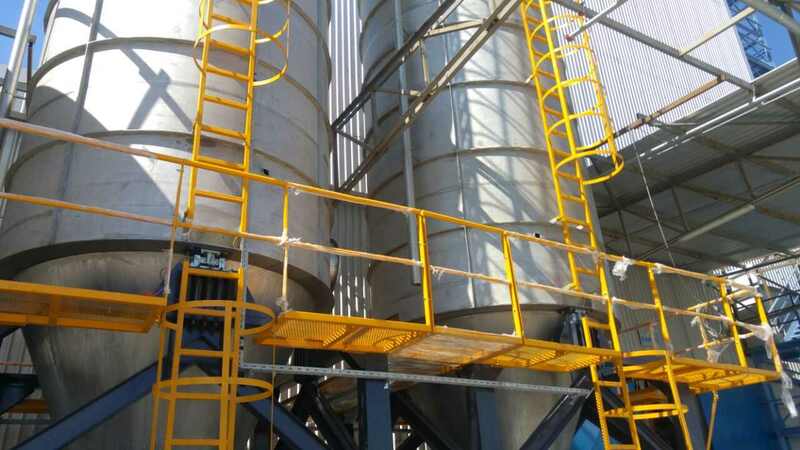 Dust collection systems and jet pulse filters are used to prevent dust emissions during handling of bulk solids in powder or granule form in industrial processes which are harmful for health and environment. 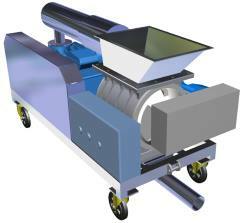 Big bag discharge systems provide dust free and easy emptying of big bulk bags. 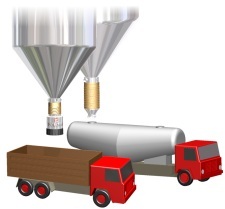 The contents of big bags are easily transferred to silos, mixers, and conveyors etc. Pneumatic conveying systems, screw feeders or similar conveying equipment can be used to transfer bulk solids to required destination. Blowers are used for generating air flow at high flow rates with low pressure (up to 1500 mbar gauge) and vacuum (-500 mbar gauge). 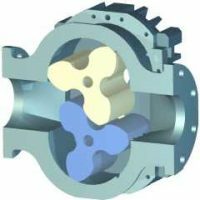 Roots blowers are positive displacement, rotary lobe type air pumps. Main application areas are; waste water treatment, ULV , aquaculture, vacuum applications and pneumatic conveying of bulk solids. 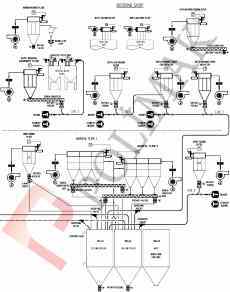 Diverter valves, flow control valves are used to control the flow of bulk solids. 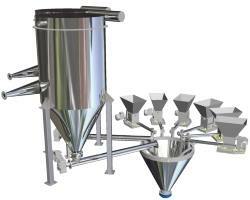 They can open, close the conveying line or change the direction of flow of powders and granules. Flow control valves can be used in positive and negative pressure applications. When materials must be dumped from bags to feed machinery or to fill containers, bag dump stations provide dust free and easy emptying of bags. Pneumatic conveying systems, screw feeders or similar conveying equipment can be used to transfer bulk solids to required destination. 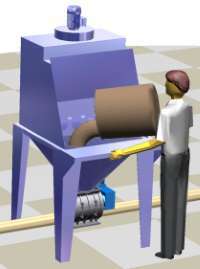 Screw conveyors are used to mechanically transfer powdered materials from point to point. Wide range of powdered and granular materials like cement, calcium carbonate, PVC, wheat, flour can be transported by screw feeders. 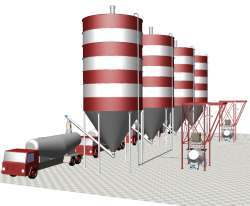 Large amount of raw materials in powder and granular form are stored within silos. Depending on type of applications wide range of silo designs are available with different loading and discharging systems. Silo equipment like jet filters, feeders, conveyors, discharge aids, butterfly valves, bulk truck equipment, level sensors, safety devices, bin activators. Screw jack is used in applications where linear motion is required. Lifting of any load, pushing or pulling of mechanical equipment, adjusting of tight clearances of mechanical parts can be done by screw jacks. 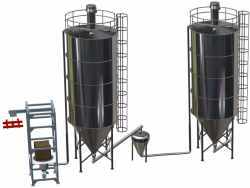 Silo control systems provide safe and reliable operation of silos. 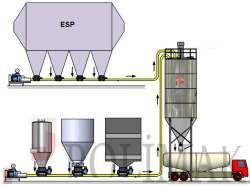 Equipment installed on silos are operated by central control unit during filling, storage and discharge of silos. Fly ash is created in power plants that use coal or biomass for energy source. 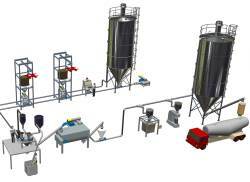 Fly ash handling systems are used to collect, transport and store fly ash providing clean and safe environment. Central plastics feeding systems are used to transfer PVC, PP, PE, HDPE type plastic materials from storage silos or mixers to large number of injection moulding or extrusion machinery automatically. 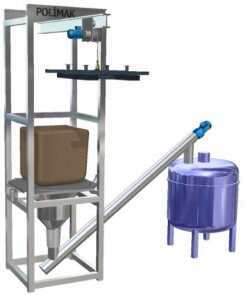 Batching, weighing and dosing systems are used to mix different kind of bulk materials to form a new product. Systems are designed to handle and measure bulk materials accurately to obtain perfect processing. 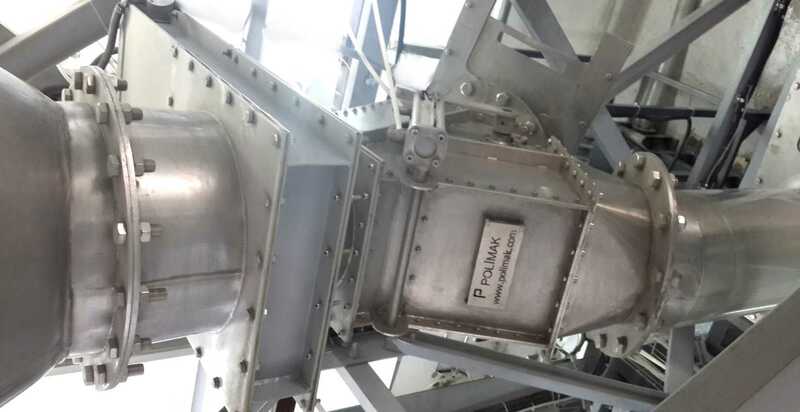 Package type pneumatic conveying systems provide simple, fast and practical solutions for powdered and granular bulk material conveying needs. 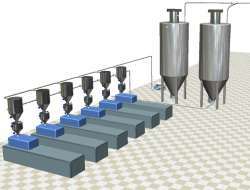 Turnkey bulk material automation systems from raw material input to end product output. Bulk solid loading, filling, discharging, conveying transportation, mixing, dosing, feeding, weighing equipment are combined together to have a complete production line. Design, production, installation and commissioning services for production lines of wide range of industries are avaliable from one supplier. Cement transfer facilities are use to load, discharge, store and package large amount of cement in ports , logistics centers and industrial plants. Big bag discharge systems, bulk truck loading systems, temporary storage silos, cement bagging machines are some of the main components of cement transfer facilities. 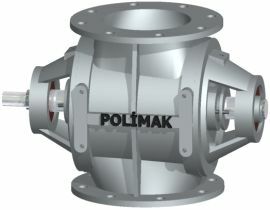 Polimak has been developing softwares for industrial applications. 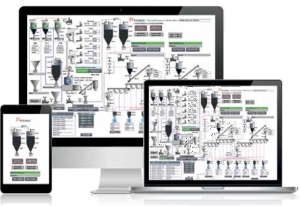 Process, control applications, PLC automation, IOT , graphical design and CAD utilities, mechanical engineering softwares are in our product range. The ability to provide expert solutions to wide range of industries derives from a team of experts who have long years of experience in designing, production and installation of industrial components and systems. Polimak helps you solve industrial challenges.